A strong nation needs competent leaders of good character, capable of achieving and inspiring greatness. With this in mind, Bank Indonesia, has for decades been nurturing some of Indonesia’s most promising young talent through the provision of scholarships. But talent alone is nothing without dedication to the nation. Therefore, BI in 2011 decided to broaden the impact of its education program by setting up a community called Generasi Baru Indonesia (New Indonesian Generation, GenBI). This initiative provides BI’s scholarship recipients with training and soft skills to become future leaders, capable of engaging and empowering the public. GenBI presently covers 77 universities located across Indonesia. Rather than just giving financial support to students, BI is also building their characters, so they will become agents of change. Specific training covers leadership, motivation, writing, public speaking and central banking education. The program teaches young people to become independent, creative and innovative, as well as inspiring their sense of nationalism, so they will become responsible for the future success of their country. Recipients learn to work in partnership with different organizations and levels of government, conducting activities that help to close the socio-economic gap. Members of GenBI have diverse backgrounds of expertise and specialization. Their abilities and insights are broadened to address future local, national and even global challenges. For example, members have undertaken initiatives to combat poverty, raise environmental conservation, and improve health and hygiene. The GenBI program is not elitist but is based entirely upon merit. Members undergo self-improvement and acquire values on how to inspire a peaceful, tolerant and inclusive society, while enhancing national growth and competitiveness. Internship opportunities are provided in Bank Indonesia and in respected national and multinational corporations. Rifki Budianto Arif, who became a member of GenBI while studying law at the University of Indonesia, says the program enabled him to become involved in various social activities, such as encouraging communities to adopt better health and hygiene practices. “We received assistance not only in the form of scholarships, but also through training as prospective entrepreneurs. This fostered a sense of social responsibility through positive activities,” says Rifki, who is now a researcher at the government’s Financial Services Authority. He says these valuable experiences could not be obtained from attending university lectures. In West Kalimantan province, GenBI is combating the serious problem of coastal erosion. Members joined forces with a local conservation group to plant 13,000 mangroves after wave erosion carved a small island from the mainland. Local GenBI chairman Ivan Dermawan says the planting was hard work, but a valuable lesson in engaging communities to protect the planet. Such lessons cannot be learned in books but are typical of the real-life experiences provided by being part of GenBI. In the South Kalimantan capital of Banjarmasin, GenBI focuses on preserving cultural heritage, including a local woven textile, sasirangan, which had been at risk of extinction. “We want to give the public a love of their own culture,” says GenBI member Jaenudin. “There was no continuity for sasirangan. If not us, then who else?” In preserving culture, there are economic opportunities that benefit low-income households. GenBI has harnessed the high energy and enthusiasm of Indonesia’s brightest youths, putting the country’s future in good hands. With the right leaders who care for the people and the environment, all Indonesians will benefit. Retno, a housewife from crowded Petamburan neighborhood in Central Jakarta’s Tanah Abang subdistrict, used to struggle to keep her two children in school. Her husband’s income was barely enough to cover monthly household expenses. Bank Indonesia (BI) last year opened Retno’s eyes to the entrepreneurial spirit and she now augments her family’s income by running a small clothing business. She has also learned of the importance of saving and how to manage her finances. “Thank God, BI’s assistance has been very helpful. I needed money for the household, including keeping my two children in elementary school. Now I can manage by selling clothes,” she smiles. BI is increasing the entrepreneurial spirit of women like Retno by providing them with training and financial credit to enable them to start small businesses. Two micro-entrepreneur programs are being conducted, the first in Jakarta and the outlying city of Tangerang in Banten province, and the second in Indonesia’s westernmost province, Aceh. Both programs support BI’s efforts to empower women and promote gender equality. Gender equality is also smart economics. The World Bank says countries that provide better opportunities for women and girls can raise productivity, improve outcomes for children, make institutions more representative and advance development prospects for all citizens. Indonesian women have long been relegated to the role of housewives, while men are the main breadwinners. This leaves millions of low-income families at risk of sliding into poverty if a breadwinner dies or becomes too ill to work. When women become entrepreneurs, their households become more resilient to financial shocks. Women are traditionally responsible for providing their households with meals, childcare and general quality of life, as well as managing family expenses. This is a major role, not only in the domestic sphere, but also makes a significant contribution to the Indonesian economy. Yet women from low-income households could be doing much more to help their families and the nation, if only given training and opportunities. According to Indonesia’s most recent census, the country has 118 million women, making up 49.66% of the population. Of the approximately 99.7 million Indonesians in the productive working age group of 15–64 years, only 36.2 million or 36.4% are women. These statistics show the productivity of women can be greatly increased to drive domestic economic growth. BI in June 2015 launched the Women’s Empowerment Program for Inclusive and Sustainable Development in Jakarta and Tangerang. The two cities were chosen because they represent the highest unemployment in Indonesia. While the national unemployment rate is 6.25%, it is 9.03% in Jakarta and 10.1% in Banten. As a pilot project, the program is helping 3,000 women from low-income families to become micro-entrepreneurs. It also reaches 2,000 senior high school girls, who will become ‘YouthPreneurs’, learning through practical simulations, rather than just through theory. Women selected for the program attend workshops to learn about financial literacy, the environment and food security. Financial literacy covers business models, personal financial planning and objectives, cash flow and bookkeeping. Women learn how to make a business that is financially viable, manage a budget and keep records. The program also encourages saving, so that women can pay for school fees, healthcare and other family expenses. The environmental aspect teaches participants about waste management and the benefits of recycling non-organic waste and composting. Women are learning how to minimize trash and pollution. Food security teaches women to grow their own food through urban farming plots so they can provide vegetables for their families. After the training, 2,000 women in Tangerang receive micro-credit of IDR1.75 million, while 1,000 women in Jakarta receive micro-credit of IDR2 million. Repaid capital is used to assist other women to become entrepreneurs. It will also be used to develop public facilities, such as parks, libraries and health clinics. Using their new skills and capital, recipients have started small businesses. Some opened food stalls, selling meals and fried snacks. Others are making and selling clothing, and some are selling vegetables grown on urban plots. BI continues to supervise the program to ensure projects run smoothly and that there is a commitment to saving and record keeping, and that beneficiaries’ children remain in school. Witnessing the success, other women have been inspired to become entrepreneurs. Meanwhile, the YouthPreneurs are learning about life planning, personal financial planning, business planning (operations, marketing and resources), communication, cash flow and financial statements. This is to give them a competitive edge upon completing high school. Aceh’s women possess great potential for financial success but have been held back due to limited expertise and support. That situation is now changing, with BI working with the Integrated Business Service Centre for Micro, Small and Medium Cooperatives to identify groups of women with potential to develop business enterprises. BI is supplying equipment, guidance and expertise to women involved in a range of enterprises, from salted fish production, rattan weaving and embroidered handbags, giftware and fashion accessories. Technical consultant Nurul Fatmawati says many of the women have established joint-venture cooperatives to increase their business strength and are now reaping rewards through higher sales and income. 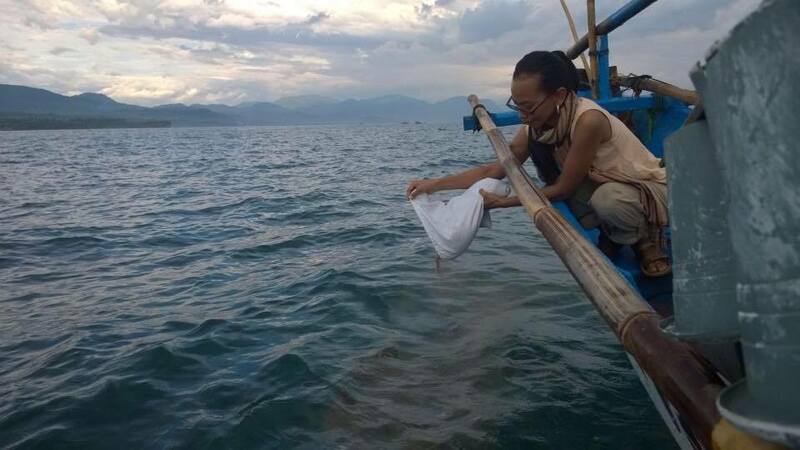 For example, about 40 women used to sell dried fish on the roadside and from beachside stalls, but since forming a cooperative and receiving assistance in the form of drying racks, they have improved their production techniques and are now enjoying sales across several districts. Local fishermen are also benefiting. Similarly, women making embroidered handicrafts and trinkets from their homes in Meuraxa district have increased their turnover by 200% after receiving sewing machines from BI, while a group of rattan weavers is now selling its products to other provinces and even receiving export inquiries from Europe. Success breeds success, and there’s no better place for women to benefit than Aceh, which had been devastated by a 2004 earthquake and tsunami. By harnessing the power of local women, the future looks bright ahead. Today’s students are tomorrow’s leaders. Taking this maxim as part of its corporate social responsibility ethos, Bank Indonesia (BI) has embarked on an initiative to provide reading corners at educational institutions throughout Indonesia. Launched in 2015, the BI Corner program is strengthening financial literacy by providing quality information on economics, as well as explaining BI’s role in managing the Indonesian economy. Efforts are focusing on universities, while early childhood education is being targeted through Bank Indonesia Reading & Storytelling Corners. Both programs are part of BI’s corporate social responsibility with the theme “Smart Indonesia”. Over the coming years, BI Corners will also be opened at selected high schools and entire education level throughout the country. Indonesia has long suffered from poor financial literacy, as well as a low reading habit. The United Nations Educational Scientific and Cultural Organization ranks Indonesia as having the lowest reading habit in Southeast Asia. Only 1 out of every 1,000 citizens has an excellent reading habit. Part of the problem is a lack of access to quality books and learning materials, due to inadequately stocked libraries, while some regions do not have sufficient bookstores. Other factors include specialist books being unaffordable for many people, and books that are too technical to attract readers. BI therefore decided to develop the reading corners, which are unique physical spaces comprising well-stocked bookshelves, comfortable seating and multimedia technology. These attractive spaces enable people to learn of the strong link between reading and thinking, as they acquire knowledge that is relevant to their daily lives and financial success. The designated corners are generally attached to existing campus libraries. Each BI Corner is equipped with eye-catching bookshelves, hundreds finance-related books in Indonesian and English, sofas, computer terminal and LED TV, and a collection of BI periodicals and reports. Subjects covered by available books are too numerous to list individually here, but include banking, practical economics, development planning, accounting, auditing, taxation, Islamic finance, international humanitarian law, economic theory, business and marketing, management and human resources, natural resources, and inspirational biographies. Less than half of Indonesia’s 250 million people have bank accounts – a situation that BI is taking measures to remedy through education programs. Financial literacy plays a crucial role in development and can help countries to avoid the worst symptoms of regional and global financial crises. For example, households with savings accounts and multiple income streams are likely to be more financially resilient during times of recession, high inflation and rising unemployment. Households with low levels of financial literacy tend not to plan for the long-term, borrow at higher interest rates and have fewer assets. They are also at greater risk of falling victim to financial scams. The BI Reading & Storytelling Corners, which are being developed at early childhood learning centers, aim to stimulate the growth and development of infants by introducing them to reading, counting and creativity. Parents have expressed gratitude for the books, which are designed for children aged three to six. This is the stage when infants develop physical, mental and spiritual wellbeing, so it is the right time to instill values and skills for their futures. The provision of exciting books and puppets helps children to understand the concept of money and importance of saving. Active involvement of parents is encouraged to ensure they play an ongoing role in the learning process. At BI Reading & Storytelling Corners, BI provides training to staff of early childhood education centers (PAUD). Through good storytelling, children and their parents will be encouraged to read more. Results have been promising, showing that stories, especially fables, have stimulated the imagination and creativity of children, as well as planting strong moral values. BI is building and strengthening engagement with stakeholders, enabling students to understand the role of BI and its contribution to Indonesians. BI’s reading corners are sowing the seeds to put the future of Indonesia’s economy in good hands, so that all Indonesians will benefit.